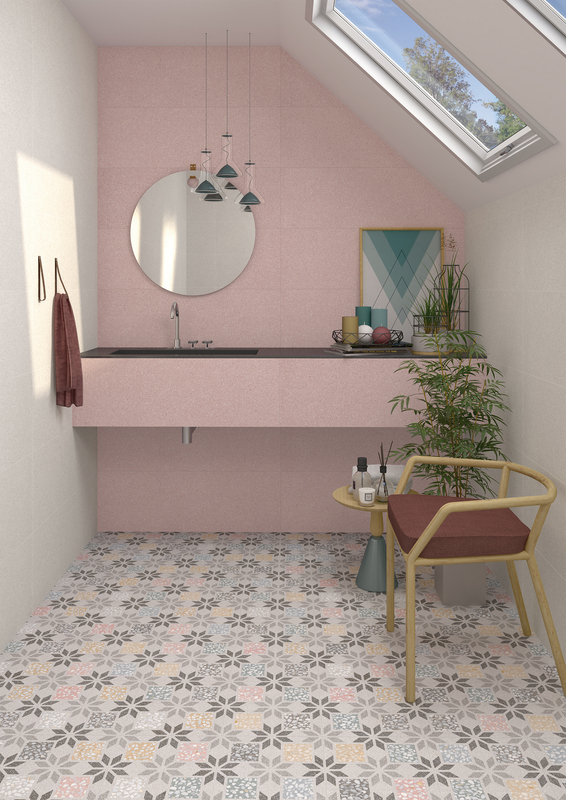 Our Revival range is inspired by the traditional fifteenth century Venetian terrazzo technique, where small fragments of coloured marble are mixed with cement for a stunning ‘stracciato’ effect. This modern take on the classic Italian tile is one to watch for 2017 and perfect for large contemporary commercial areas. 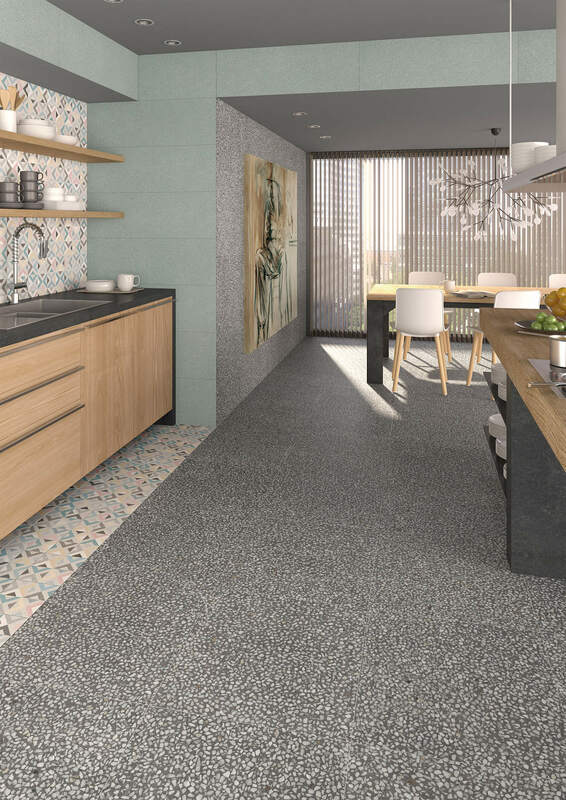 The four neutral greys and beiges in the base tile contain slight touches of cement and stone, and can be used to contrast with the more prominent marble fragments in the bolder blue and pink coloured tiles in this range, which will brighten your spaces and give them an intense yet beautiful character. The seven decorative tiles make a dramatic feature of any space. 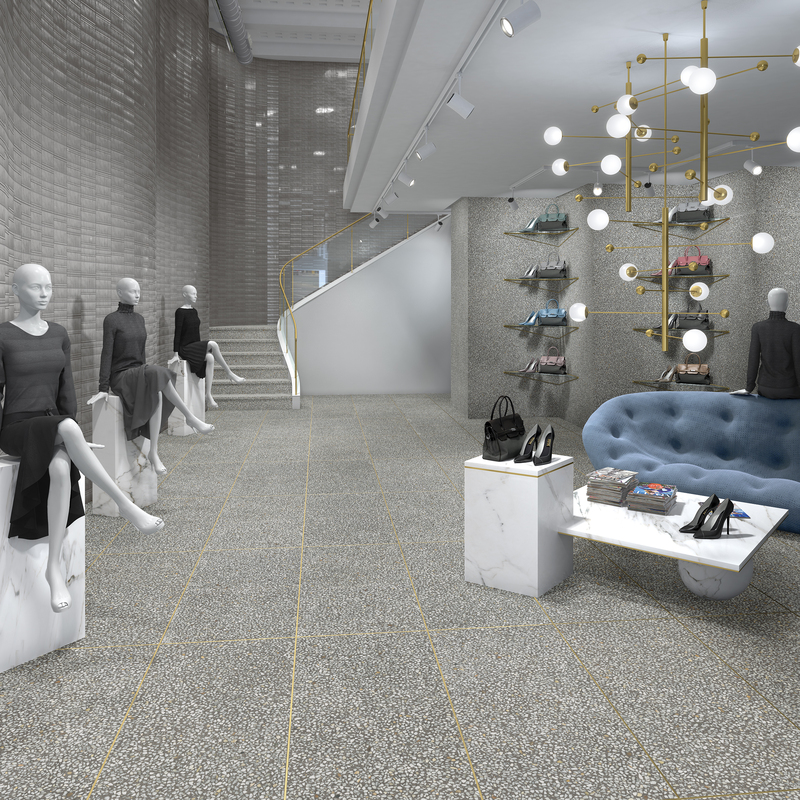 Repeated geometric shapes and floral patterns are used to highlight this marble mosaic tile to stunning effect. 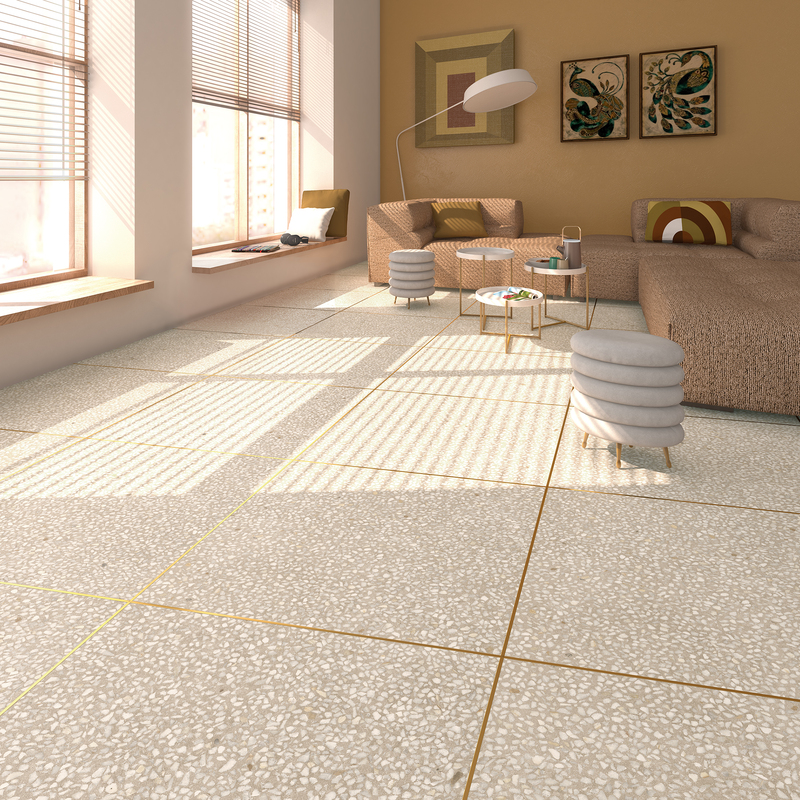 The optional addition of the decorative brass edging can completely transform a room with its ‘golden frame’ effect around each tile, offering a stunning luxurious touch to your design project. To view this fabulous range please click here.